Often when you are standing too close, it’s tough to see things as they really are. This is especially true of authors who unfortunately open the door to both praise and harsh criticism with every new release. 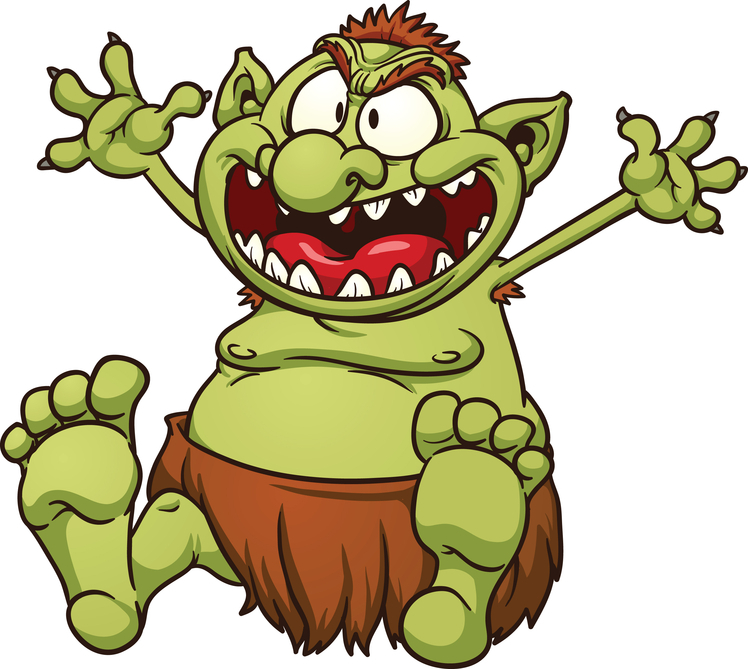 Today I’m going to address the issue of review trolls, those nasty little buggers who derive joy from tormenting others. But in order to do this, I need you to back up and look at the situation in a different light. Picture yourself a restaurateur. The majority of your customers love your food. They praise you every time they come in. They even recommend you to their friends. Occasionally you have a patron who comes in once and doesn’t return. They simply don’t care for the type of cuisine you offer. That’s okay; it’s nothing personal. People all have their personal tastes, likes and dislikes. You can live with that. But then one day, you get a customer who is loud and obnoxious. He makes a spectacle of himself and criticizes the wait staff in a harsh arrogant tone and when you approach his table, he berates you in an even louder voice. When he finally walks out, do you breathe a sigh of relief and move on to serving the other customers who are enjoying their food? Or do you continue to focus on that one unpleasant and ill-mannered individual? Please tell me that your answer was going to be that you focus on the customers who are there because they love your food! I pose this scenario because I recently had an author reach out to me. This author told of a friend who had an experience with a Goodreads troll and was heartsick about it. The troll gave her book a one-star review, which would have been fine if that’s where it ended, but it didn’t. The troll was abusive and mocking. He/she even made false statements about the book and the author. Then to push salt deeper into the wound, the Troll added inappropriate GIFs. The review had eighty people like the review and pile on. This isn’t surprising because Trolls are rumored to run in circles. Abusive reviews should be reported to Goodreads as such, and if they are on their game, Goodreads will investigate and remove these reviews. I encouraged the author to have her friend do this, then after thinking it through I decided to also put on my social worker cap. Before I go any further, I must remind readers that not all one and two stars are troll reviews. I myself have written one and two star reviews. These are professional reviews given without bias or malice. And yes, professional reviewers who I respect have even attached appropriate GIFs to make the review stand out and entertain their readers. Before deciding a negative review is simply the work of a troll, it is important for the author to take careful stock of that review. A one-star review can sometimes offer advice that will ultimately improve the author’s writing. I have seen instances where the author takes a critical review personally and mistakenly calls it trolling; thereby, missing an important opportunity to improve their writing. What a shame and waste of an opportunity for the author to improve his/her writing. 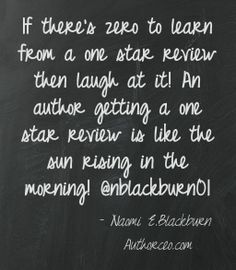 In my experience, it is more difficult to write a one or two star review than it is a glowing one. Most book reviewers will say the same thing. And I might add, professional reviewers most often recognize trolling for what it is and ignore those reviews. 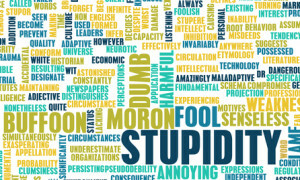 Unfortunately Trolls such as I described above are all too often found on Goodreads and Amazon. With the inception of social media they have found a virtual soapbox from which they can rant and rave to their heart’s content. We can’t silence them, but we can change our reaction to them and thereby cut off the food source on which they thrive. In the example above, I call that type of troll the “Look at me, Look at me” reviewer. They more than likely have low self-esteem, are immature and have an incessant need for attention. The more negative they make a review the better since the reviewer knows other trolls will flock to it with likes and equally acidic comments. And if the troll can engage the author in a confrontation… BONUS! When the author responds it gives the troll the attention they thrive on and whether it is a victimization or antagonistic response; it rewards their behavior. I will never forget a situation I encountered with an author friend of mine. The author was arguing with a woman who wouldn’t read his book simply because it was indie published. Her friend had highly rated it and even encouraged her to read it because it was that good. The woman’s response was that she would “never ever” read an indie book. At this point the author got into an argument with her. The author’s response gave this woman the opportunity she needed to rip into him and call him every name in the book. It escalated from there. Which was when I stepped in. I reminded the author that it was this woman who was closed minded. She was the one who was missing an opportunity to read a good book that had been recommended to her. Why? Because of her closed mindedness. I told him that he was not going to change her mind and I reminded him that this was her loss, not his. Her not buying the book was a loss of one sale for him. That’s it. Her not being open to indie authors however means the loss of numerous fantastic stories, simply because the author chose a different route to having their books published. Most people who are closed-minded stay that way. It is a comfortable place for them. It is their cocoon. You will not change them and you will only frustrate yourself in the process. 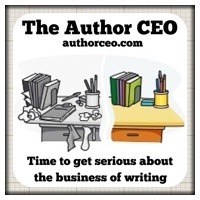 In the long run, being an indie author has its pros and cons. The pros definitely outweigh the cons. Unfortunately one of those cons is dealing with troll reviewers. Changing one’s perception about the reviewer will help to accomplish this. It is difficult, but not impossible. Do you see your glass as half full or half empty? Seeing it as half full helps to not sweat the small stuff of troll reviewers and enables you to turn and walk away. When you see a review such I mentioned above, feel sorry for the reviewer. It must be torturous to live in a world where the only attention they can garner is through a malicious review. Feel sorry for them and then move on to focus on the reviewers who have offered words of praise for your work. A brilliant piece. 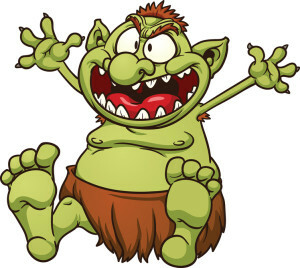 Trolls are part of being an indie writer… I’m trying to look at it as if we’re gallant solders on horseback galloping across a bridge to our castle, but the trolls who live underneath keep sticking their hands up and trying to trip us. The trick is to learn how to navigate that course to the castle door, without harm nor fear and then to bring up the drawbridge behind us!!! OK… so it’s a little idealistic, yes. But it’s better than becoming troll food, right? Exactly. Once you do it that first time whether you choose to type out a really nasty, nasty response to them and then erase it or you vent to another author friend, never give a troll the satisfaction. They love and thrive on it. What you will find once you complete that exercise is that it becomes easier and easier to blow them off. Then the idiocy of what they are doing becomes apparent. This is a great article and a great reminder to writers who too often get waylaid by negative reviews. Some are meant to be helpful while others are written by trolls, but in either case, the most important thing to do is keep writing and trying to improve! That is a BAM statement! I’m so glad you highlighted that not all bad reviews are given by trolls. I do get irritated by writers who can’t cope with someone not thinking their book is marvellous, and scream ‘troll’ for anything under 4*!!! I’ve had my share of troll activity, usually someone being incredibly rude on Twitter. I find the best action is to deliver a marvellous put down, then block, so they can’t reply. I know it would be more mature not to make the marvellous put down first, but I can’t resist it! Exactly Terry, as I was saying it is harder for me to write a one or two star review than it is a 4 or 5 star one. I try to be as descriptive to authors/readers as to why I didn’t like the book. On that note, I would discourage you from even doing that little put down and block. 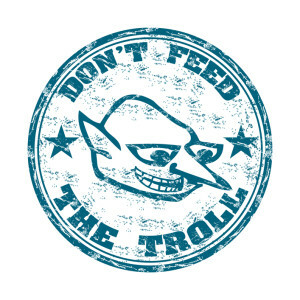 You don’t want to get other trolls attacking you. I have had that happen where they all pile on. It just isn’t worth it. Simply block and move on. Having to respond to each troll either takes away from your writing time or your relaxing time. Just not worth giving them even those couple of seconds. A client of mine had the very unfortunate luck to have someone post a two-star rating of her novel on Goodreads. I warn my writers it’s very likely that at least one person who reads their work is going to hate it, but in this case not only is the book not yet published, there isn’t even a blurb posted. Goodreads said that the rating doesn’t violate their guidelines so they decided not to delete it. My writers know better than to engage with trolls–I’ve spoken to them about that as well–but in a sense that rating is even more frustrating. No comment, no review, just a rating on an unpublished novel. In any case, good article, thanks for posting! My response is that a writer getting a one star review is as predictable as the sun coming up in the morning. Read the review. If there is ANYTHING that a writer can take away to improve their writing, take that away as a gift. If not, no biggie. You hit the nail on the head with this one Naomi! Loved it. Isn’t is sad when we accept Trolls as a part of every day life?? I agree with you though, don’t respond – just back away saying nothing. Don’t give them an audience. The way that I look at it is I refuse to give anyone the control for me to do business. Plus, I have been called in on some of these that, maybe it is my social work background, you can tell that there is just something not right in the person doing the posting. I report, whatever Goodreads does with it…let them have the whatever reward they feel it gives them. I just won’t play in that sandbox. I already complain that I don’t have enough hours in the day! I have rarely seen this produce any results. I have probably the most trolled and abused book on Goodreads and reporting obscene .gifs fell on deaf ears. The only thing that removes troll reviews is if the troll gets excommunicated and a couple of the reviews of my book have disappeared for that reason. It’s rather hypocritical of Goodreads to provide a Like button for reviews, but no Dislike button. It invites piling on and gives the appearance that reviews are literary works that deserve their own review. Kinda hilarious since there is no requirement to read a book in order to review or rate it on Goodreads. The whole GR system is fatally flawed and obscene.